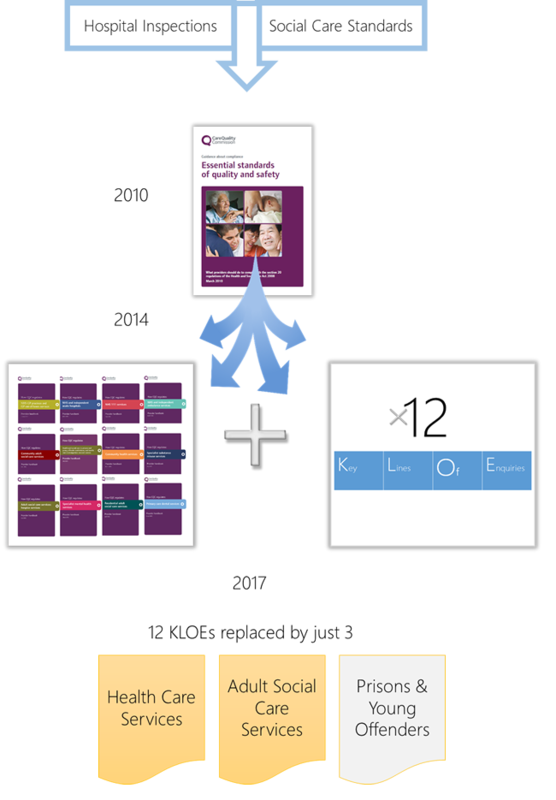 CQC Regulations have now changed beyond recognition from the first days of introduction. We started off with regulations, assisted by a guideline from the CQC, which said "the guidance is not enforceable in its own right". 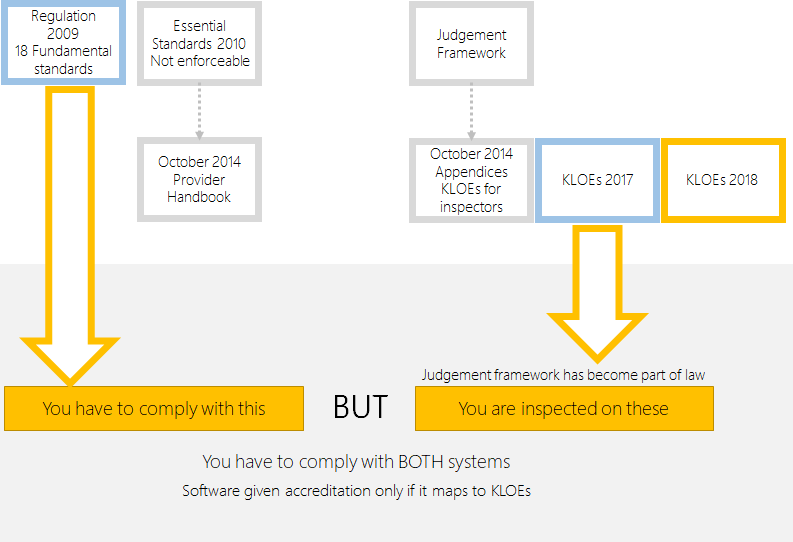 The prompts have turned into KLOEs, which are now the basis of every inspection and the provider's rating. In essence, you cannot pass an inspection unless you comply with KLOEs. The KLOEs have become the new defacto regulations.